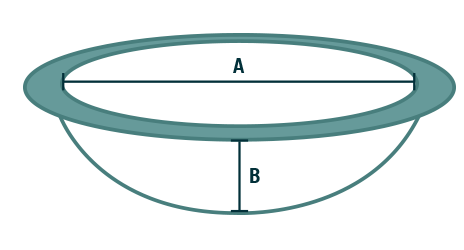 Select the shape of your container to calculate. Reminiscent of the azure sky on a cloudless day, Celestial Tempered Fire Glass in Neptune Blue Reflective instantly turns a plain gas fire pit into something extraordinary. It's breathtaking to see the flames dance and jump across the illuminated glass. 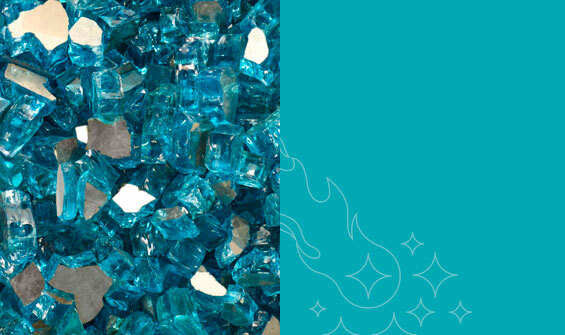 A favorite for do-it-yourselfers, Celestial Fire Glass is no ordinary glass; it's made exclusively for use in fire pits and fireplaces. Its superior strength and durability ensure that it maintains its beauty throughout many, many fires. What's more, we use a special process to make our glass more reflective than other brands — so you get more shimmer for your money. Shine that won't quit. 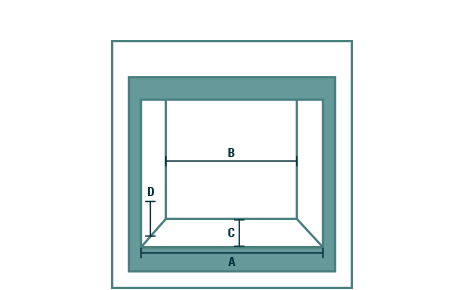 Most fireplace glass is tumbled. But we use a proprietary vibration process to remove small pieces with sharp edges without dulling the surface. 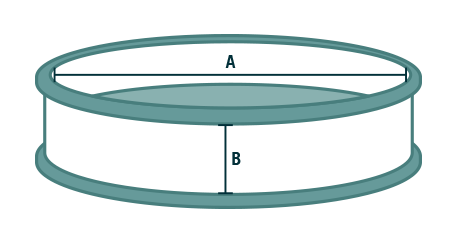 Coupled with a mirror backing, this makes our glass the most brilliant available today. Won't burn or fade in intense heat. Designed for fire pits, your colored glass has impressive staying power. It won't lose its rich shade or warp or melt. Burns cleanly. Concerned about toxic odors? 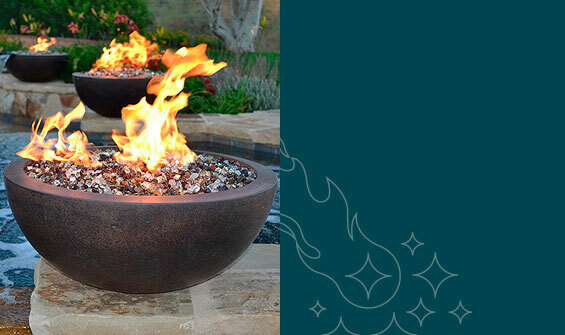 Celestial Fire Glass burns cleanly, so you can use it in your gas fire pit with complete peace of mind. Premium packaging. Instead of a plastic bag, Celestial uses smarter packaging for its fire pit glass — a sturdy plastic jar with a carry handle. A DIY must-have. Celestial fireplace glass also looks gorgeous in water features or as a filler for transparent vases. Mix colors and create stunning designs! 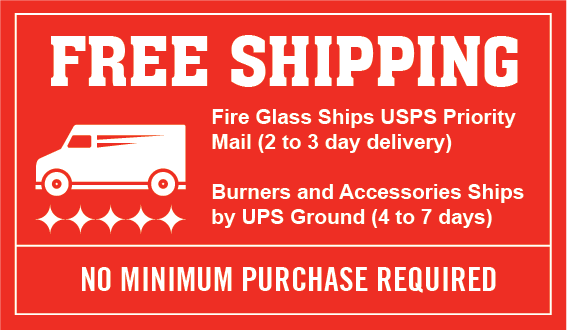 Free Expedited Shipping. All orders ship for free through U.S. Postal Service Priority Mail. 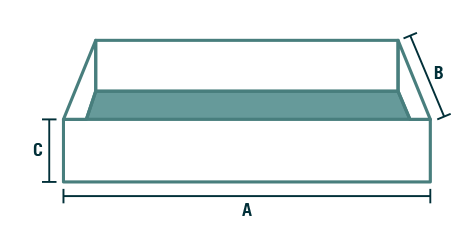 You'll receive your order quickly and with no shipping costs to you.